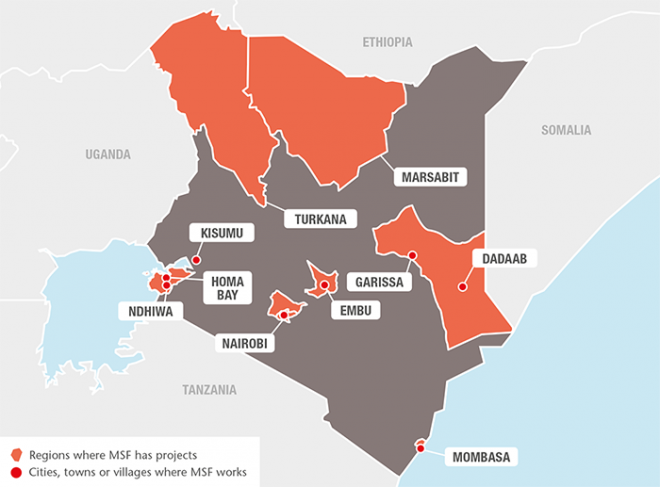 In 2017, MSF continued to provide much-needed medical care in Kenya’s refugee camps and slums, while also responding to public health challenges and outbreaks of disease across the country. It has a population of over 48 million people. Kenya was shaken by inter-ethnic violence which followed disputed elections in 2007. However, the next elections in 2013, passed off without violence and resulted in victory for Uhuru Kenyatta, the son of independence leader Jomo Kenyatta. Kenya's military entered Somalia in October 2011 to curb the threat of the Islamist militant Al-Shabab movement, which it accused of the kidnap and killing of tourists and aid workers. Since 2013 Al-Shabab has launched an increasingly deadly series of reprisal attacks in Kenya itself. Médecins Sans Frontières/Doctors Without Borders (MSF) first worked in Kenya in 1987. Our work in the country has provided responses to endemic/epidemic disease and healthcare exclusion. Many public health facilities were closed and thousands of people were left without access to essential healthcare for a large part of the year due to strikes by health workers. Doctors went on strike for the first three months of the year, followed by nurses from June until November. This had a knock-on effect on MSF’s activities, increasing the number of patients presenting at its facilities and putting a strain on its resources. In response, MSF set up additional medical facilities and offered financial assistance for patients needing specialised care in private clinics, which they could not otherwise have afforded. In February 2017, in a ruling that was welcomed by MSF, the High Court of Kenya put a stop to the government’s plans to close the Dadaab refugee camps, which are home to more than 230,000 Somali refugees. The biggest concern for MSF was that people would be sent back to Somalia, where there is limited access to healthcare and ongoing insecurity. In Dagahaley camp in Dadaab, MSF runs two health posts, which treat more than 10,000 patients per month, as well as a hospital for more complicated cases. The teams in Dagahaley provide sexual and reproductive healthcare, surgery, medical and psychological assistance for victims of sexual violence, mental health support, treatment for HIV and tuberculosis (TB), palliative care for patients with chronic illnesses, home-based insulin management for patients with diabetes and emergency response services. 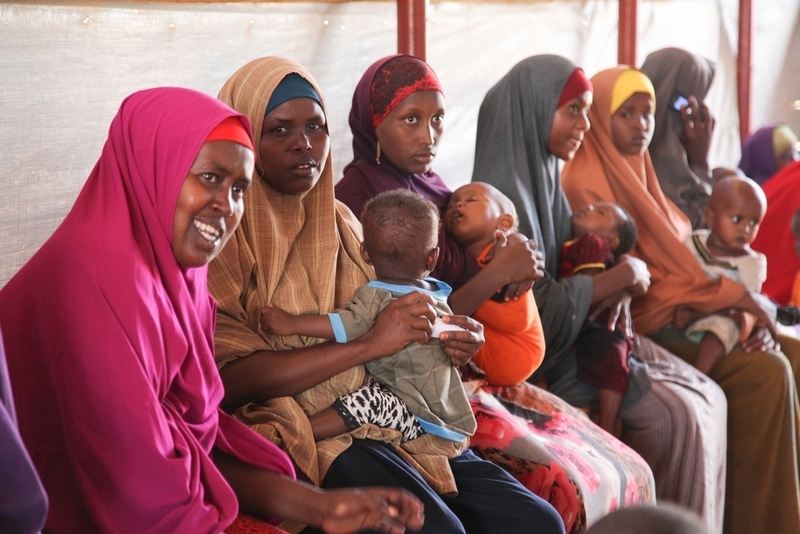 Women and children wait to be attended to at one of MSF's four health posts in Dagahaley refugee camp, Dadaab, Kenya. 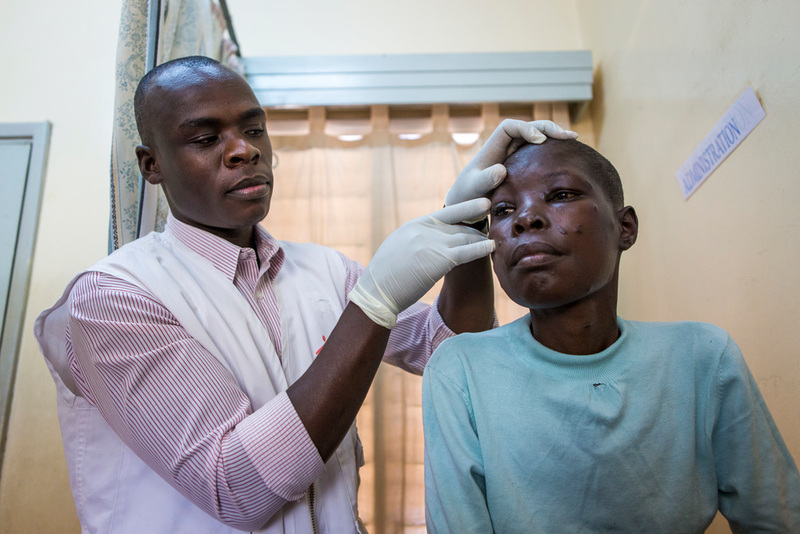 The emergency care programme run by MSF in Eastlands treated more than 1,900 patients in 2017. The project has a toll-free 24-hour call centre and an ambulance referral service. In June, MSF handed over the facility it had been running for 20 years in Kibera, the largest slum in Kenya, to the Nairobi City County Department of Health Services. The project, which started as a small clinic in 1997, has grown into a major health facility providing comprehensive primary and secondary healthcare, including care for TB, HIV, non-communicable diseases (NCDs), such as epilepsy and asthma, and sexual and gender-based violence, as well as ante- and postnatal services and deliveries. More than 24 per cent of the population of Homa Bay county are HIV positive – the highest rate of HIV infection in the country. MSF supports both inpatient and outpatient services in 33 facilities in Ndhiwa subcounty, in addition to two wards for patients with advanced HIV-related diseases. MSF works with the Ministry of Health and local communities to run outreach services, including door-to-door visits, testing and counselling, to reduce the spread of HIV and the number of deaths from HIV-related diseases. At the start of 2017, MSF opened an operating theatre within a temporary shipping-container facility it has been running in Likoni, Mombasa county, since early 2016. 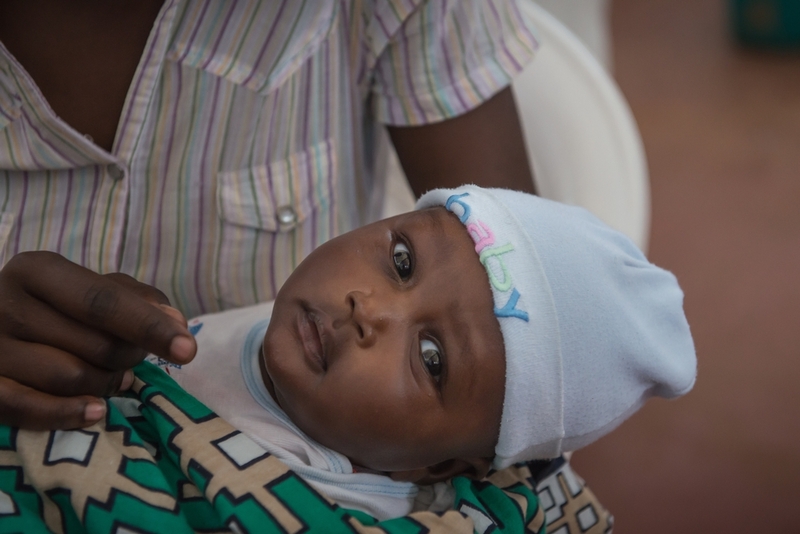 This has enabled the team to offer emergency obstetric care locally. Previously, expectant mothers had to take a ferry across a channel to reach medical services in Mombasa. The ferry often experienced delays, putting the lives of women and their babies at risk. MSF also continued to support the construction and rehabilitation of a permanent hospital, to be opened in 2018. MSF is rehabilitating and extending the Mrima Heath Centre in Likoni, Mombasa. MSF started a pilot project in Embu county focusing on testing models of care for NCDs within existing primary health facilities. MSF teams are currently mentoring Ministry of Health staff in the management and care of NCDs in seven locations. They share the results with other organisations with the aim of increasing access to care for these conditions elsewhere. Following the general elections in August 2017, there were violent clashes between protestors and security forces in several parts of the country. MSF treated a total of 217 casualties in Nairobi, Kisumu, Homa Bay and Garissa counties. In Baringo, Turkana and Marsabit counties, MSF responded to a spike in malaria cases, assisting the Ministry of Health to test more than 5,000 people, treat some 1,800 patients and distribute over 49,000 mosquito nets. MSF doctor treating a patient for kaposi sarcoma.